A parent’s relationship with their child is very important. When parents divorce, the visitation agreement or “parenting plan” is very important. 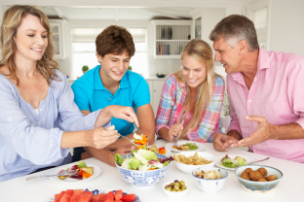 Typically, the parents can agree on a mutually agreeable schedule. If the parents can’t agree, then the court may have to step in and make the decision. The court’s primary concern when considering a parenting plan is the best interest of child. This is especially true when called upon to create a schedule due a lack of cooperation between the parents. Once a visitation schedule is established, it is important for both parents to abide by the schedule. In those instances where one parent unilaterally refuses visitation, the Court may award make up time sharing and/or in extreme cases, reevaluate the time sharing schedule. .
Divorce cases with minor children can be complicated when taking into consideration issues of time sharing, support, education, religious beliefs, among other issues. Due to the complicated nature of divorce cases and visitation matters, it is important to have a qualified Boca Raton family law attorney by your side every step of the way. This will ensure that you receive appropriate advice and guidance needed to make informed decisions that work for you and your child. Both parents are entitled to share substantial time with their minor children. If one parent refuses visitation, then the other parent may need to seek court intervention. Both parents have a right to participate in the upbringing of their child. It is very important to ensure that those rights are upheld. Your attorney will investigate every aspect of your case to ensure that your rights are preserved. There are instances where one parent relinquishes his/her responsibilities and does not share in the responsibility of caring for a child. While it may be impracticable to attempt to compel a parent to engage in time sharing, in those instances where one parent has the child substantially all of the time, the law may provide relief in the form of additional child support. 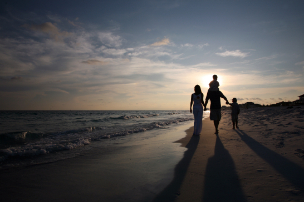 Your Boca Raton divorce attorney will evaluate all issues you are facing and discuss available options. It is important that the various alternatives are explored so that you may effectively choose the right option for you and your child. Educated decisions are of paramount importance as they will affect the lives of the family unit. The goal is to ensure that you have the right information necessary to reasoned decisions. . Both parents are entitled to liberal time sharing with their child to ensure a close and loving relationship between the parent and the child. Florida law encourages families going through a divorce to maintain civility and to jointly share in the responsibilities of raising their child. If you need to establish and/or modify a currently existing time sharing schedule it is important to have an experienced attorney by your side. Call Ronald M. Zakarin today at 561-338-5297 to schedule a free consultation.